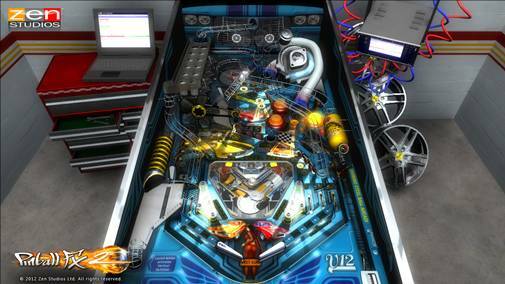 Pinball FX2 goes all out with it’s Zen Classic package. Pinball FX2 is a riveting game through space and time that shows off the morals and dilemmas of today’s society. I’m just kidding, it’s just pinball. And to be fair Pinball FX2 isn’t really a game, it’s more like a loading program but it’s free. If you’re new to Pinball FX, created by ZEN Studios, here’s how it works; you download the free program and then buy the pinball boards separately. You can play trial versions of any board before you buy which takes out the feeling of being stuck with a bad board. But I hardly doubt you’re going to feel like you got stiffed here. Most boards are real fun and cheap, and you can even buy bundled boards for a good deal as well. For this review I was given the ZEN Classics pack. This pack included Shaman, El Dorado, Tesla and V12. Out of the group I found Shaman the most fun, but I certainly enjoyed every board. Tesla was a steampunk looking board, and looked the best, but I had higher scores on Shaman. V12 was a car themed board and it was also fun, but with so much going on at times I would lose sight of the ball. The physics of Pinball FX2 is pretty solid. There was never a time where I questioned the bounce or hit of a ball, nor called foul. With the high quality detail on the board, and with the nice reflections, even on the mirrored ball itself, at times you could almost be fooled into thinking you’re playing a real pinball. But if you really have an issue, there’s no worries, you can actually go through the machine and tweak the boards, mechanics, tilts, and just about anything. One of the coolest features to Pinball FX2 is the scoring. You can obviously score on each board, but thanks to Pinball FX2’s lobby system, all your scores get added up, tournament style. 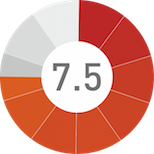 These combined scores create your rank which you can compare with your friends or other people online. Another neat feature is the multiplayer modes. There are two ways to play, either take turns or split screen. I tried the split screen, and then set the goal of first to 10 million with a 10 percent penalty, which is the default settings. I can honestly say my wife and I had a great time. Having your board halved makes it more difficult to keep track of the ball and even action, but considering how pinball is typically a one player at a time game, the half screen issue is very minuet. There are a few minor issues with Pinball FX2’s setup. The main issue for me came with visibility. There’s nothing wrong with the level of detail in the game, it’s just hard to see everything on the board at the angle the camera is set at. I couldn’t find a way to move the camera more, and I know for some people it would be cool if you go top down on the board and turn your tv vertical. By default however the camera is set at an angle which makes it hard to see any play in the back field. When the ball does go out of view or in the back field a pop up window will appear on the top right of your screen to show you what’s going on. Add this screen to the window on the top left that shows your score and multipliers and it becomes a little overwhelming. The only other issue I can see to Pinball FX2 is, what I would consider, its main competitor, Future Pinball. I looked into Future Pinball a few years ago and was thoroughly impressed. It’s a free program to your PC with free boards created by users. Many of these boards are replicas of original boards. The best feature I saw was that you could take two monitors and make one the play field and the other a backboard. I’ve even seen some people make huge cabinets with giant flat screen tvs, and then they add in a Wiimote for tilt. The draw backs to Future Pinball is that your customer service is other users and if you really want to get the full feel of the program you have to have enough money for 2 tvs, and carpentry skills to make a cabinet. In comparison Pinball FX2 is cheaper and easier to run. Pinball FX2 brings back the essence of old school gaming through pinball. If you’re looking to start your collection, the ZEN Classics pack is a quick shot to some fun and unique boards. The trial versions of every board make it easy to pick and choose the right boards for your library. I would have never thought I would have had as much fun with multiplayer as I did when I tried out the split screen options. The pros to Pinball FX2 easily outweigh the cons here and if you’re a person who enjoys the small games on your console, you’ll easily find a board worth playing. Great graphics, awesome multiplayer options. Other competing products deliver more, but at a price. Pinball FX2 brings back the essence of old school gaming through pinball.